See all the photographs in 'Community' on this website of the fantastic day. 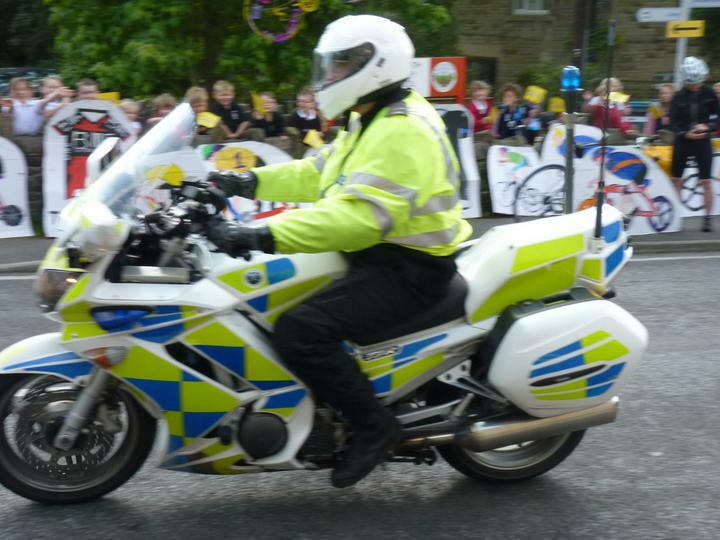 The children were SO EXCITED and that was just when they saw the police motorbikes blocking the road to the Navigation so that the cyclists could ride through safely! When the first peloton went through the cheers went up. We waved flags and encouraged the riders. Thanks to the parents who organised the children and their bikes coming to school ! So many! And thank you very much Carl and Edith for supporting our cyclists and organising the duathlon. 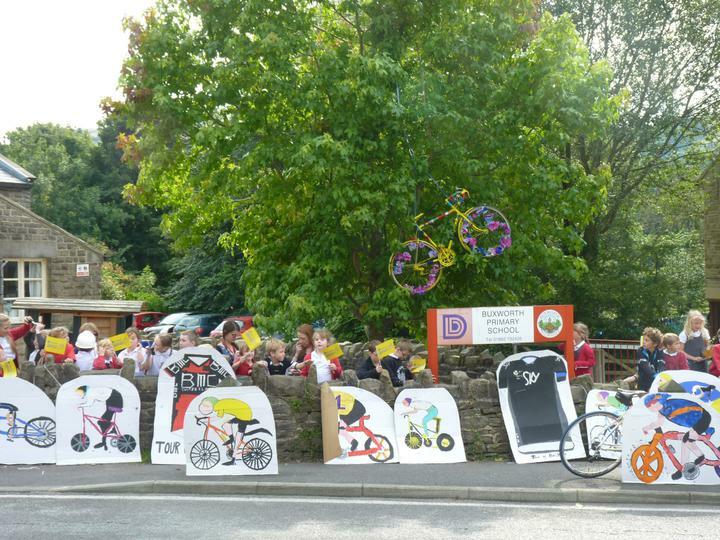 The roadside looked perfect with the fantastic paintings of cyclists done by the children. Did you notice the bicycle in the tree? We were proud to be part of the Tour of Britain.